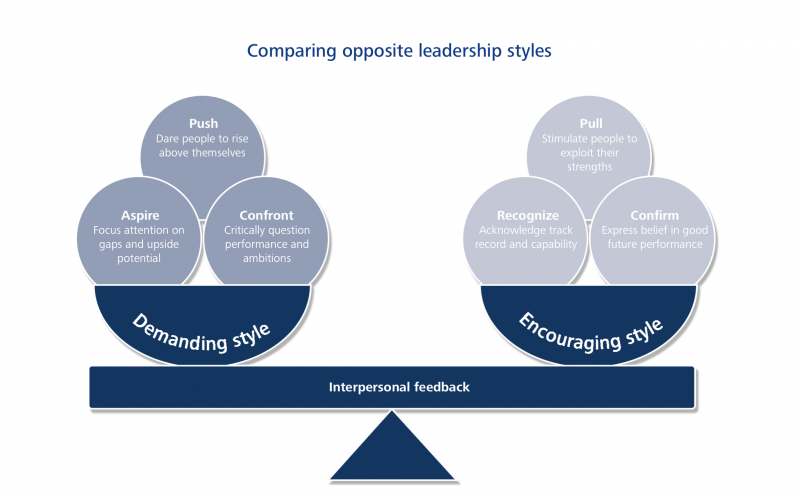 Find out more about these two opposite leadership styles. 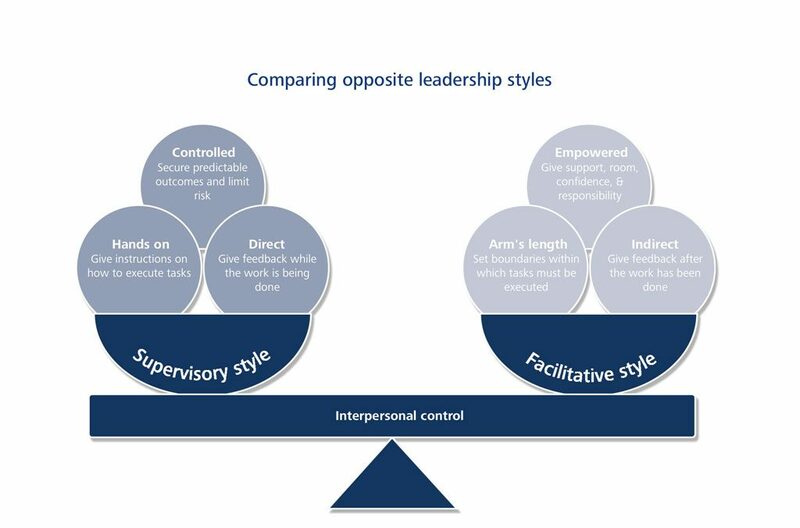 In balancing between tasks and conditions as the primary lever of control, supervisory leaders prefer to influence on the basis of concrete tasks. 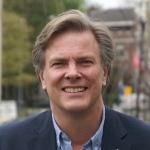 These leaders tend to be personally involved in the nitty-gritty of day-to-day operations and very hands on, defining tasks and providing their team members with ideas, advice and feedback. They get deeply involved in determining what the team needs to do and constantly follow up on progress, checking on any deviation from the agreed plan. Leaders more inclined to indirect control by creating the optimal organizational conditions have a facilitative leadership style. These leaders focus on creating the right conditions, getting the right people and then getting out of the way. They believe that the most effective way to bring out the best in people is to trust their competence and their willingness to perform. They give their team members ample room to take initiatives and to determine how to do the necessary work in the way they see fit. What are the different styles that leaders can use to steer the behavior of others? In this video, the two opposites, the Supervisory and the Facilitative Leadership Style, are explained. Both the qualities and the pitfalls of both are illustrated. 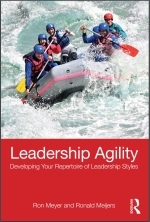 Here you can read up on suggestions about developing a specific leadership style and on how to avoid certain leadership pitfalls. Make sure to leave your own suggestions behind for others as well.